You are here: Home / Pest News / Bed Bug bites a serious health risk. Bed Bug bites a serious health risk. Two bed bug researchers had been exposed to bed bug bites over time (either due to being bitten while working in active infestations or through voluntary exposure to maintain colonies). Both researchers after being bitten one day with relatively small bed bug numbers, developed a widespread rash with itching, indicative of a serious systemic reaction. Both were admitted to an emergency department for treatment and subsequently made a full recovery. 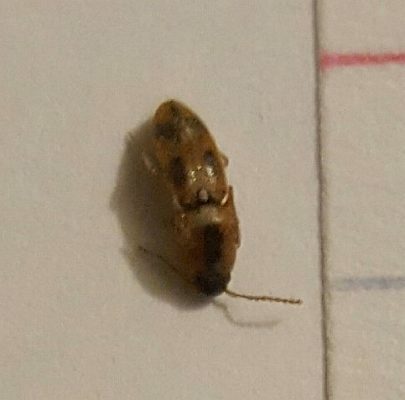 https://pestcontrolcanada.com/wp-content/uploads/2015/08/bedbugs_bedbug_s7.jpg 319 468 Pest Control Canada https://pestcontrolcanada.com/wp-content/uploads/2015/03/pcc-logo.png Pest Control Canada2016-11-01 16:28:272018-05-31 06:55:05Bed Bug bites a serious health risk.